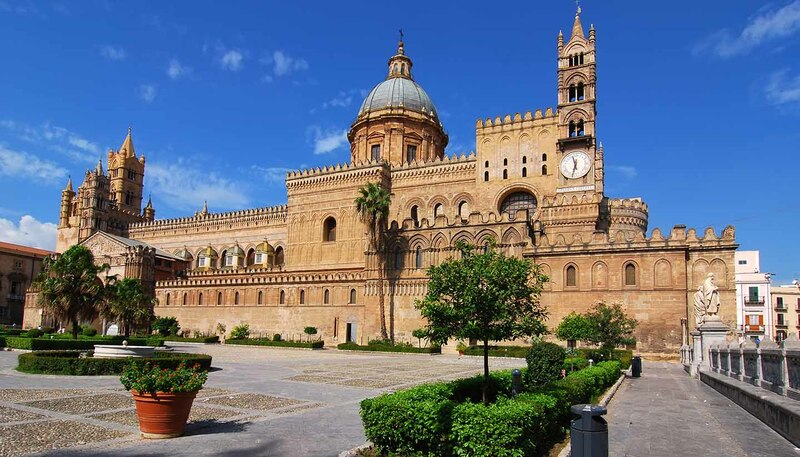 Palermo's nightlife has improved greatly in the past decade and there is now a lively scene centred on the bars and cafes around Vucciria market. Other good places to hang include Piazza Castelnuovo, Piazza Verdi and along Via Principe di Belmonte, between Via Roma and Via Ruggero Settimo. If you're interested in the arts and cultural venues, pick up a copy of Lapis (www.lapisnet.it/palermo). With Persian rugs, red walls and patterned drapes, this laid-back bar is reminiscent of an Arabic living room. Serving up delicious cocktails, it's one of the few places in town where you can smoke a shisha pipe. Live belly dancing adds to the Middle Eastern flavour. Telephone: +39 340 407 0736. Located within the historic Palazzo Sammartino-Ramondetta, near to Teatro Massimo, Cambio Cavalli is one of the oldest pubs in Palermo. With candlelit tables under the stars and a trendy lounge bar inside, an aperitif here often transforms into a small disco. Housed in the old stables of Palazzo Torremuzza in La Kalsa, this small watering hole brags that it is Sicily's best beer bar. With more than 100 craft beers on sale, including a special emphasis on Belgian beers, it's hard to argue. Jam sessions take place on a Thursday. Telephone: +39 339 314 6466. Situated on the northern outskirts of the city, next to the tennis club, the Country Disco Club is one of Palermo's most popular spots for dancing. Open Friday and Saturday from 2230-0300, there are two floors playing different music, mainly commercial house and pop. Telephone: +39 331 251 5998. Out towards Mondello, this popular nightclub hosts a range of different nights from Latino and Cuban evenings through to house and techno raves. Two bars and a range of distinctive spaces allow party animals to find something to suit any mood. Telephone: +39 338 813 7792. In the basement of an old palazzo (think: bare brickwork and vaulted ceilings), this fashionable wine bar hosts regular club nights. Situated down by the port, it attracts a smart party set who come to drink, listen to live music or groove to resident DJs. Upstairs is a restaurant serving Arabic food. Telephone: +39 91 616 5151. Popular with the smart Palermo set, this elegant city centre bar offers a full programme of live performances from tribute bands and homegrown talent. The bar is lined with local wines and a large array of spirits, and the bartenders mix a mean cocktail. Telephone: +39 338 916 2922. A cultural institution, I Candelai is a multi-purpose performance space and meeting place for the young creatives of Palermo. The music here is first rate, with regular performances of rock, pop, jazz and folk music. It also hosts DJ sets, belly dancing, tango and musical contests such as its own X Factor. Telephone: +39 91 327 151. In the centre of the city, near Teatro Massimo, this American bar hosts an early aperitivo buffet before wheeling out live music from Wednesday to Sunday. It's predominately jazz bands, but pop and rock acts drop in too. Telephone: +39 328 843 2391.